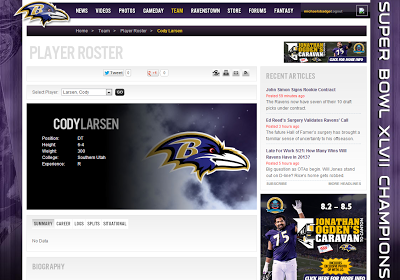 LarsenFootball.com: Cody's profile added to official Baltimore Ravens site. Cody's profile added to official Baltimore Ravens site. I LOVE it! !Nice job Cody! !